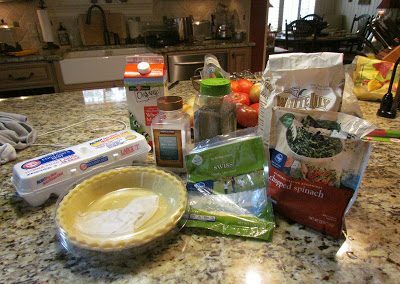 In a bowl, whisk together the eggs, milk, flour, salt and pepper. 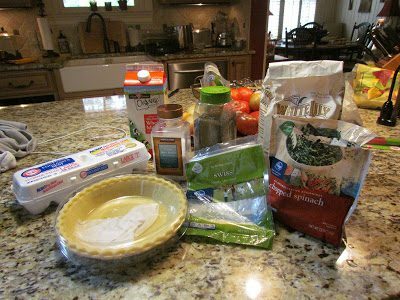 Spread the spinach into the bottom of the prepared pie crust. Pour egg mixture evenly over spinach, then sprinkle with the cheese. 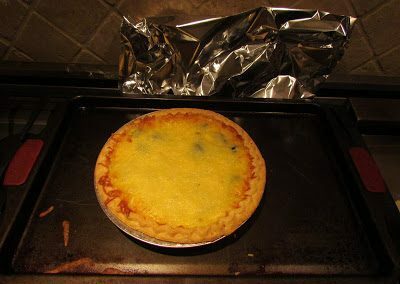 Transfer quiche to preheated oven and bake 15 minutes. 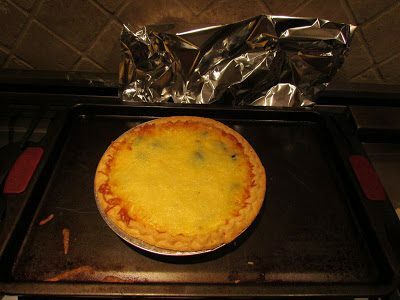 Reduce heat to 325 degrees F and continue to bake 20 minutes, until crust is browned (cover with foil if browning too quickly).